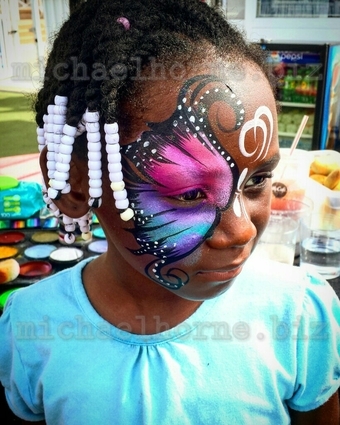 Face Painting, Airbrush Art and Glittler Tattoos! 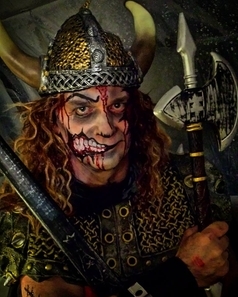 Let our artists take your event to the next level. Are you looking for that added touch to make your event one to remember? 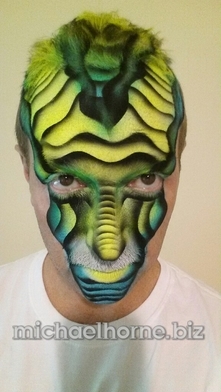 our airbrush face artists, face painters and glitter tattoo artists will take it to the next level. that added splash of color to make your event one to remember. 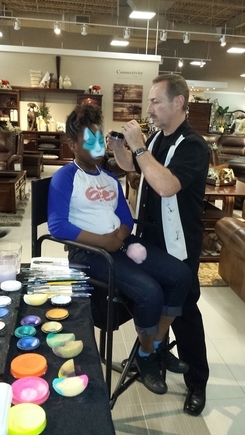 Our artists can paint approximately 12-15 guests per hour depending on the design and age of participants. Feel free to take a look at us in action on some of our events. 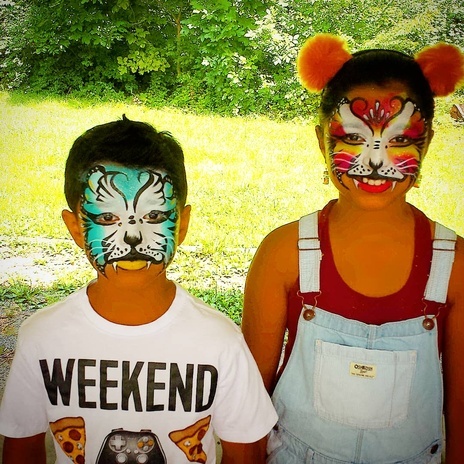 "Making memories one face at a time"
Who said face painting was just for kids? Airbrush and water, wet ones or make up remover.